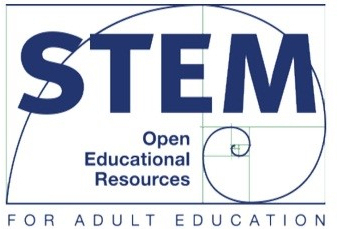 The Open Educational Resources to Increase Teaching and Learning of STEM Subjects in Adult Education Project, or simply the OER STEM Project, aimed to strengthen science, technology, engineering and math (STEM) instructional content and practice in adult education specifically through the use of widely available and free open educational resources (OERs). It supported the Administration’s commitment to an open and citizen-centered government. Specifically it is supportive of the Expand Access to Educational Resources through Open Licensing and Technology in the third Open Government National Action Plan that was released on October 27, 2015. It also produced the following two reports: (1) Connected Teaching and Personalized Learning: Implications of the National Educational Technology Plan (NETP) for Adult Education and (2) The Potential and Value of Using Digital Badges for Adult Learners. The OER STEM Project engaged adult educators to serve as User Group Members who located, used, evaluated, and shared science and math OERs that are appropriate for adult education classes. The project also developed online professional development courses for teachers on how to use OERs for math and science instruction in their adult education classrooms. These reviews can be found on OER Commons by searching in the Adult Education Open Community of Resources. Read the OER STEM Project Fact Sheet to learn about the project goals and activities. OER help meet the demand for high-quality STEM content in adult education, while enhancing instructional practice and student learning. OER help students achieve their learning goals by providing flexible and accessible supplements to instruction. OERs encourage life-long learning habits in students and they also help educators do their job better by augmenting instruction and helping teachers learn about new topics. OER are abundant, customizable, free, and convenient to integrate into lessons. They include any educational materials that are openly licensed, including lesson plans, games, textbooks, tests, audio, and video. The project has developed an OER Fact Sheet to provide information about OER in an easily shareable format. Download this document to read and share with your colleagues. In this short video, we discuss the value of Open Educational Resources (OER), and how this growing body of high-quality, no-cost, modifiable tools can be used to enhance the teaching of science and math in adult education. Featured are various perspectives about the opportunities OER offer to engage adult learners in the creation of knowledge and to expand the resources available to teachers. This weeklong discussion with Susan K. Cowles from LINCS and Dahlia Shaewitz, Delphinia Brown, and Amanda Duffy from the American Institutes for Research provided community members the opportunity to learn about open educational resources (OER) in adult education and how OER enhance instruction and learning. This discussion may be viewed in five different segments with each segment representing one day of the discussion. Adult education teachers are introduced to a wide variety of OER and gain a thorough understanding of how to identify, search for, and evaluate these free materials to use in their teaching practice. With this self-paced tutorial, teachers with experience in the Moodle Learning Management System environment will learn to develop a comprehensive online lesson aligned to the WIPPEA lesson plan model using OER to deliver instruction. This course helps science teachers find quality OER for the adult education classroom, evaluate them for instructional use, and assess their effectiveness in meeting their learning objectives. The course also provides teachers with ideas and resources for instructional strategies to engage adult students in learning science. This course helps math teachers find quality OER for the adult education classroom, evaluate them for instructional use, and assess their effectiveness in meeting their learning objectives. The course also provides teachers with ideas and resources for instructional strategies to engage adult students in learning math. States may request the facilitated Open Science: Open Resources – Engage Learners for 21st Century Skills course or the Open Math: Open Resources – Engage Learners for 21st Century Skills course from the Professional Development Center at pdcenter@lincs.ed.gov. Quality OER can be powerful tools to enhance learning and instruction. The topics that make up STEM areas are especially well-suited for the use of OER in instruction because they require specialized content and explanations. Well designed and explained OER can fill the gap between what instructors can do with existing materials in the adult education classroom and the deeper content they want students to learn. 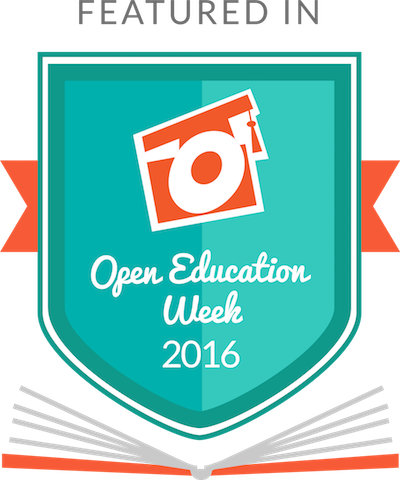 Explore some of the OER that our User Group members have used and evaluated.